With a new year, comes a clean slate. A chance to start implementing things into our lives we wish we had done before. With that in mind, this is the perfect time to start thinking of ways to help your children learn healthy habits. Here are some traits to start and some things to stop in helping your kids stay healthy and happy in 2018. 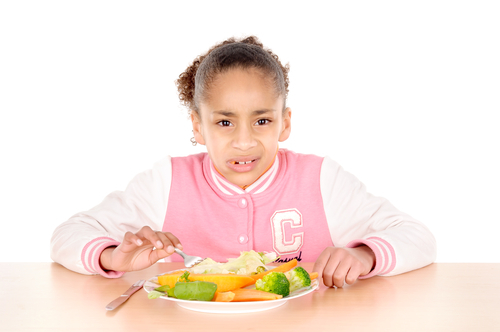 Stop forcing children, threatening children or even bribing children to eat their fruits and vegetables. This is not a good long term approach to helping them learn to like it. When they are adults you will not be there to force feed them. Start ensuring your children are learning to enjoy fruits and vegetables. Take a step back and rethink your approach to healthy eating. Use butter and flavorings on their dinner vegetables to help with the blandness. Set out a veggie tray with hummus and ranch for dipping when they arrive home famished from school every day. They want a dessert? Sure, why not!? Offer a fresh fruit platter with caramel dipping sauce or cool whip. This tip might be hard for you to swallow, but will sure make fresh fruits and veggies more enjoyable for your kids. They will learn to love them and enjoy them in a variety of ways. Stop thinking your kids won’t catch lice. Believing only dirty people or poverty-stricken people catch lice is just an outright lie. Lice are non-discriminatory and survive off of people from all walks of life. In fact, everyone is likely to catch lice at least once in their lifetime. All social classes, ethnicities, genders and races are at risk. Especially now as super lice are creating more of a problem than ever. Start talking to your children about ways to prevent lice. Explain that direct head to head contact is the most common way to catch lice. Followed by sharing head gear or clothing that has remnants of lice or nits, lice eggs, on them. Teach children to avoid sharing hair brushes, hair accessories or hair combs with other people. Help them understand that lice is a normal part of life and not something that makes people dirty or bad. Help your child know that it can happen to anyone and they should be aware to avoid it. Watch for signs and symptoms of lice in your child including: an itchy scalp, red and irritated scalp, or nits close to the scalp. Stop pestering your child to wash their hands. The more you yell or bug them about something the less likely they are to do it and do it well. Washing hands is such an important step in staying healthy try to not make it a negative experience by being pushy or nagging. Start making sure they understand why we wash our hands with a fun experiment. One word – glitter! Take your child by the hand and get it slightly damp. Explain that germs are like glitter. They spread easily and stick to their hands. Sprinkle some glitter to represent all the activities they do throughout the day like petting the cat, touching the doorknob, or flushing a toilet. Show how if they touch their nose or face germs spread to their body and can potentially get inside through the eyes, nose or mouth to infect them. Now wash their hands with warm water and soap. Time it to see how long it takes. This is the correct amount of time they should use to wash their hands. Making it fun and explaining the concept will go a long way in ensuring kids are doing what we ask for the right reasons. Hottest Holiday Toys for Your Tech Savvy Kids Did You Know Cute Up-dos Can Prevent Lice?